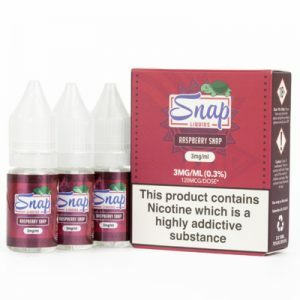 Your choice of five flavours – pick three packs of 30ml (3x10ml) for £10.00. 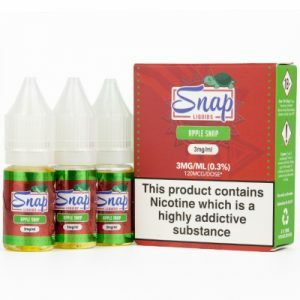 Ready for the ultimate snap liquids value pack?! 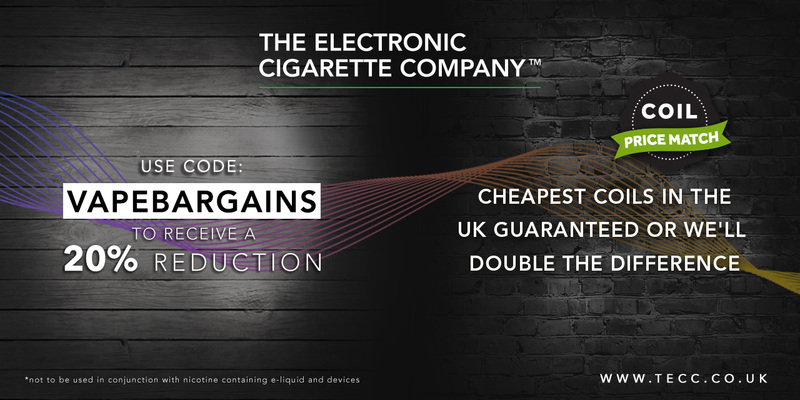 Choose your own 3 flavours equivalent to 90ml of E-Liquid and save even more money! 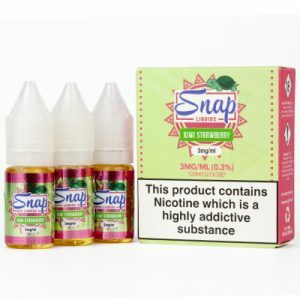 The unique, tangy flavour of kiwis blended with sweet luscious ripe strawberries, is the perfect ejuice for those hot summer days. Sweeten up your day with Snap Kiwi Strawberry and experience the fruity goodness of the best stuff on earth. 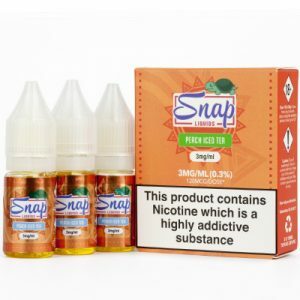 From the creator of the juiciest fruit flavoured eliquid around, Snaps have brought out a new refreshing flavour for their range. Mad Mango is a vape quenching blend of sweet and tangy tropical mango. The island fruit favourite is a palate cleaning flavour you can enjoy as an all-day vape. Get ready for a unique flavour explosion of green and black tea leaves infused with sweet ripe peaches. 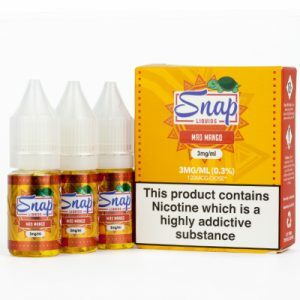 Snap Peach Iced Tea has just the right amount sweetness, delivering a delicious taste of the favourite peach beverage that will refresh your mind and taste buds.